A series of stories, journeys, art works, installations and events taking place in and around Portobello, Brunstane and Joppa, Edinburgh's Seaside. A trilogy of works from invited artist and researcher, Chris Dooks. 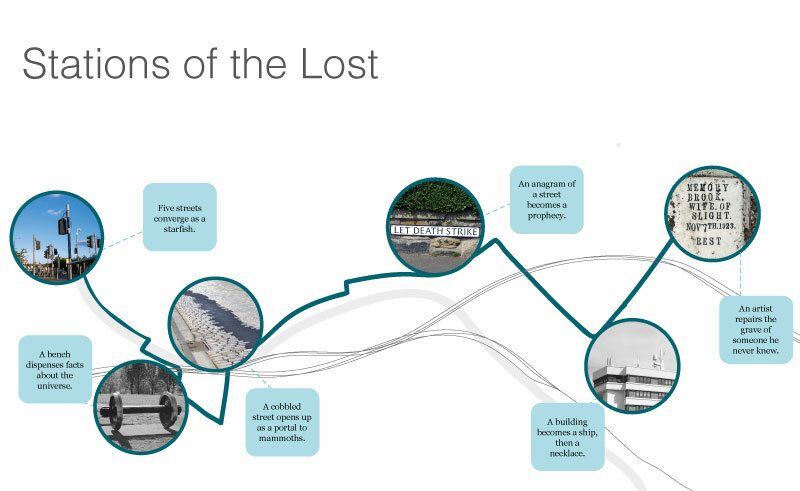 Stations of The Lost is a story-cycle of six semi-fictional narratives written by Chris Dooks. 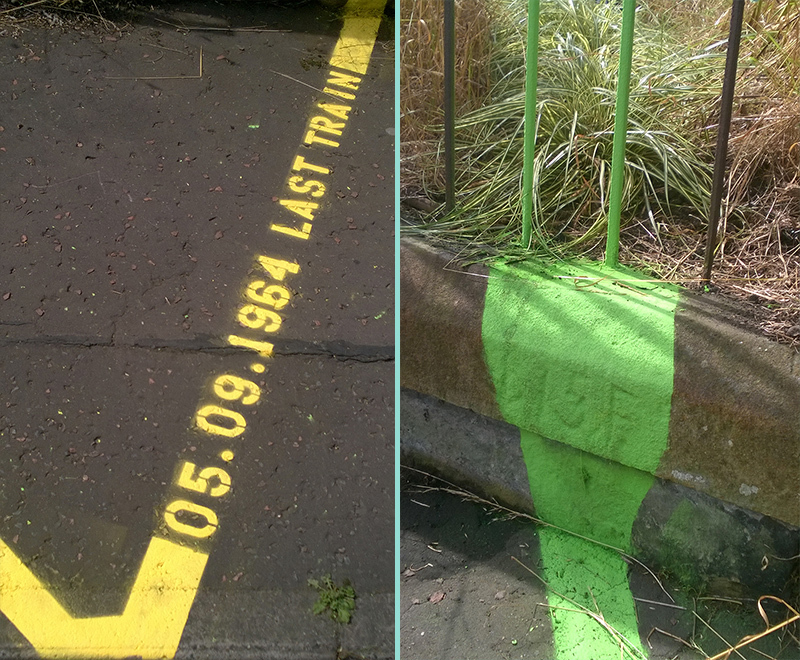 The pieces take place across a constellation of locations in Portobello and environs. Designed to be read or heard in the locations, the works take the form of printed texts alongside a downloadable cluster of narrated stories, read by screenwriter and actor Colin McClaren. Written during four weeks of artist-led research, which culminated in dementia awareness week, these stories have a loose theme of confusion and insecurity and are (lighthearted) accounts of being lost, unsure or passing through changes. Visit Portobello Library from 08.08.16 to see the book and mp3 (available to loan out while you walk the route), or download from below. Station of The Found is an audio installation featuring several local voices speaking phrases that have been isolated from interviews conducted by artist Chris Dooks. A lone loudspeaker will randomly choose audio from over five hundred files, continuously and uninterrupted for several days. 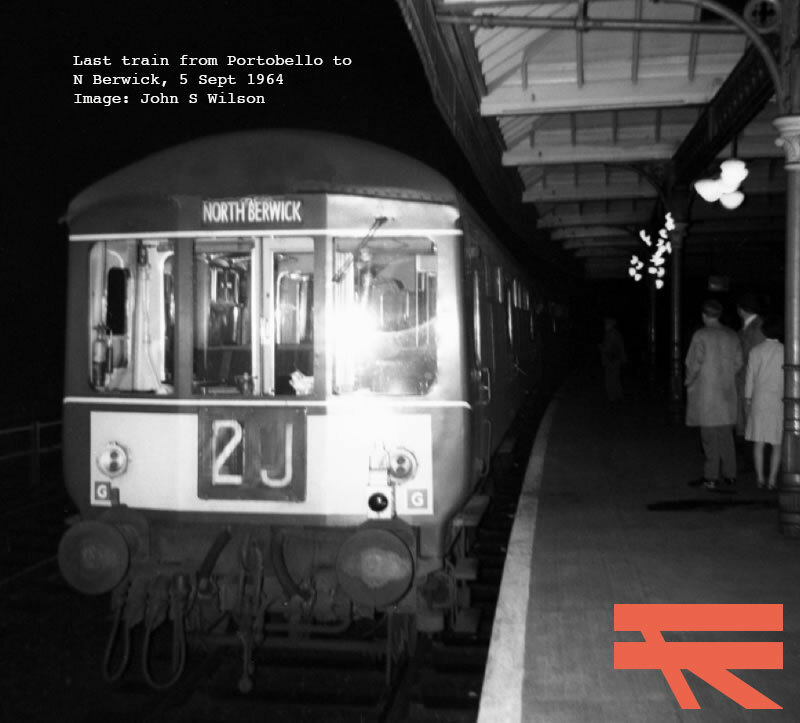 Station of The Sound is a soundscape, designed for headphones, one may wander through the locations in the stories and at the same time hear a unique travel-orientated meander through Portobello, Brunstane and Joppa. 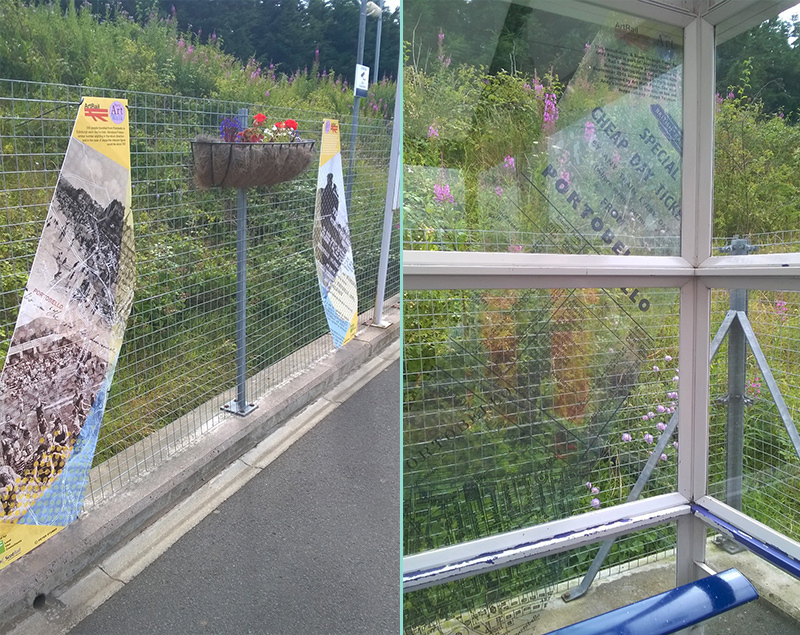 A collection of observational drawings recording the activity of the ‘Park & Ride’ at Newcraighall Station during August and September 2016. 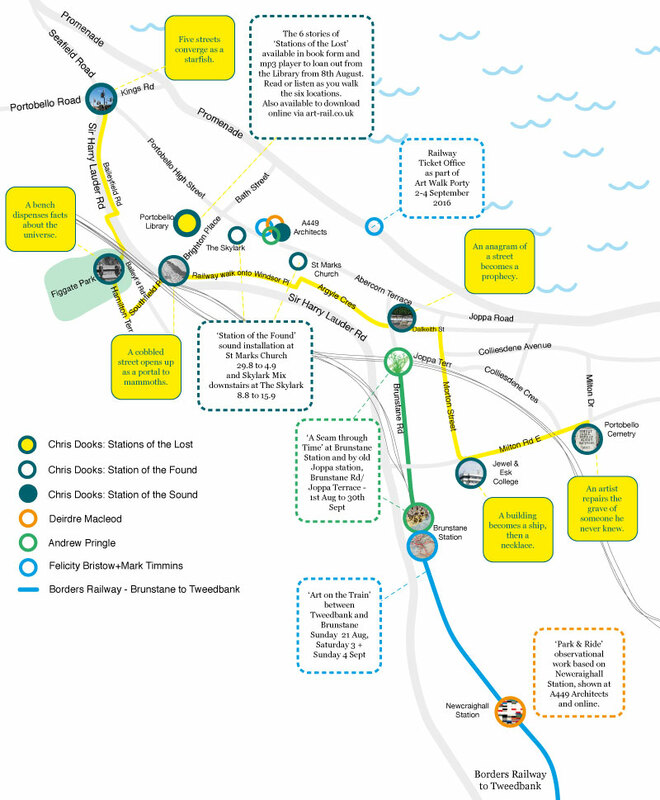 The drawings created, around 40 in total over the two month period, will be based on the volumes, distributions and colours of commuters’ cars in the 560 parking spaces at the ‘Park and Ride’ site at Newcraighall. As a visual artist with a background in urban geography, Deirdre Macleod is interested in drawing attention to aspects of our experience of cities, such as car parking and train travel, to which we often pay little attention. Her project is a form of urban drawing; her drawings will show the unnoticed patterns that result from the individual actions of private car drivers as they become public rail passengers. The drawings will be exhibited online HERE, as an animated time lapse series, so that rail commuters can view the drawings on smartphones or tablets as they wait for their train or as they travel into the city. ALSO AT A449 Architects from 2-10 September 2016, 266 Portobello High St.
Landscape Architect + Artist, Andrew Pringle, has created two installations: ‘A seam through time’ exploring the themes of time, memory, transit, providing a tangible visual connection to Portobello and the seaside. The installations take the form of land, environmental and visual art exploring the idea of a continuous seam that travels through the landscape and provides a glimpse into the past and present, reinforcing the historical links to Portobello and referencing it’s social history. Both trains will be met by Twig Champion for an artist led walk into Portobello (Leaving Brunstane Station - 11.20 (Sat 3rd) and 11.35 (Sun 4th). 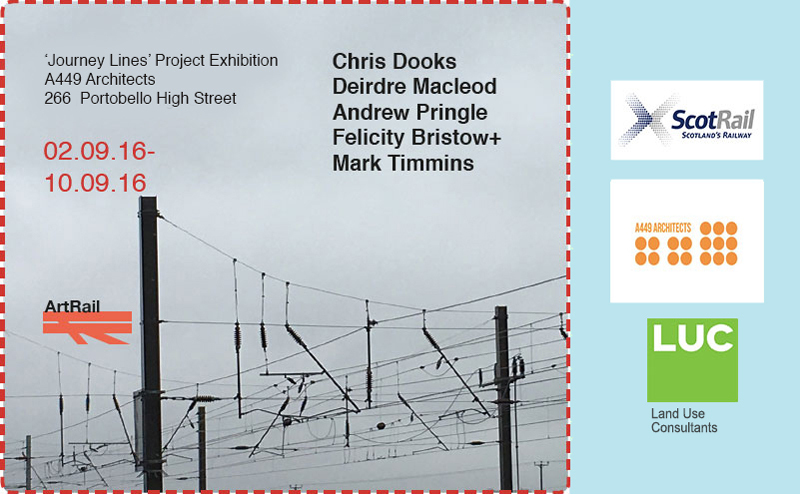 Artists, Felicity Bristow and Mark Timmins, will be running a mini ‘artist in travelling residency’ on the train journey between Tweedbank and Brunstane on the Borders Railway on Sunday 21 August and during the Art Walk (2-4 September). 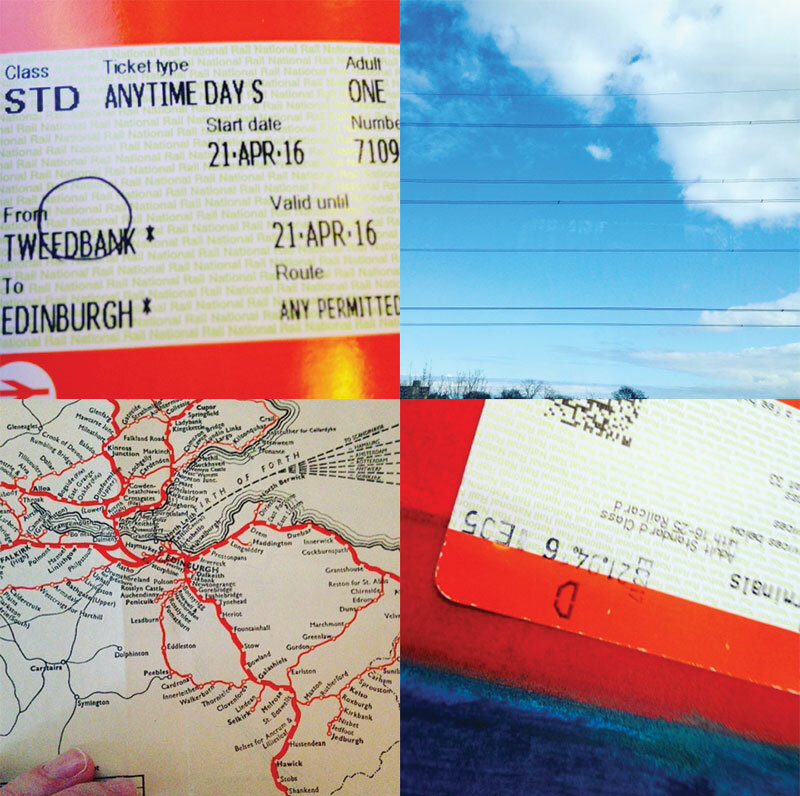 Their residency explores railway tickets, their graphics, colours, lines and the marks of the ScotRail ticket inspectors and those made by passengers as they travel between the Borders and Edinburgh. Used and recycled tickets will be collected from passengers and form a ticket inspired installation at A449 Architects from 2-10 September. Passengers will be encouraged to participate by writing on, stamping and marking the tickets with their own #journeylines as the train moves, and help reworking the discarded tickets. Instructions will be given during the train journey. Each afternoon during the Art Walk at their Prom ‘Ticket Office’ the artists will be inviting visitors to write about memories of trips to the seaside on the train and stopping at the stations no longer used - remembering and reconnecting with historical #journeylines referencing the existing and extinct stations of Portobello and Joppa, reusing journeys through the tickets and giving participants a visual reminder of what it could be like if Portobello had a railway station today. Travellers are invited to tag images they collect and create a record of the journeys taken that day. 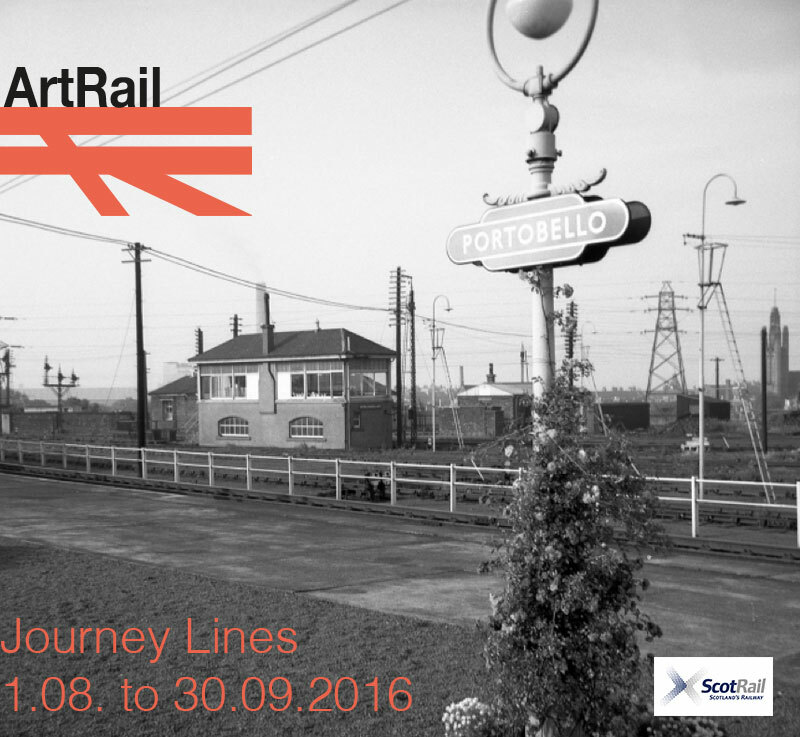 'Journey Lines' has been curated + produced by Rosy Naylor as part of Art Walk Porty 2016. 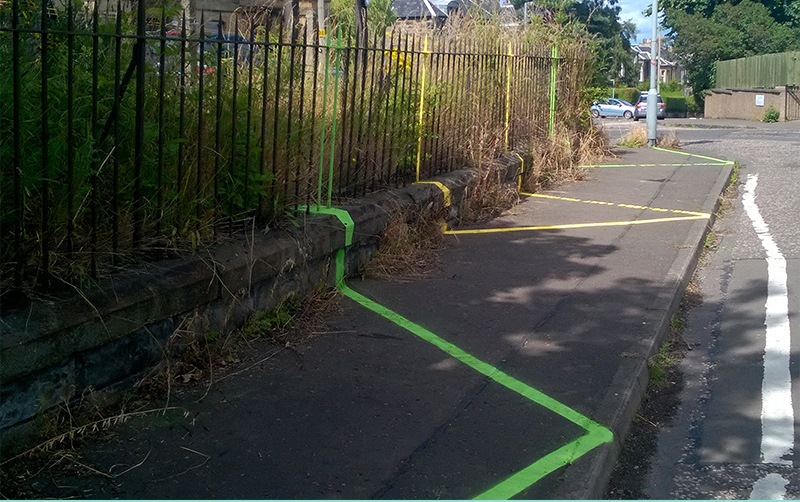 Thanks to ScotRail, A449 Architects, Land Use Consultants, Portobello Library,The Skylark, St Marks Church, Portobello Baptist Church, Portobello Older People’s Project, Portobello Older People’s Project, Murray Buchanan, Mary Florence, Ian Fyfe, Pippa Goldschmidt, Mary Hutchison, Joe Madden, Dr Rev Sophia Marriage, Colin McClaren, Ron Moule, Peter Stubbs, Betsy Thom, John S Wilson, and all participating artists.